Currently on view in Avery Library’s Wallach Study Center for Art & Architecture is an exhibition entitled Art in Life: Engravings by Robert Nanteuil (c. 1623-1678) from the Frederick Paul Keppel Collection at Columbia University. 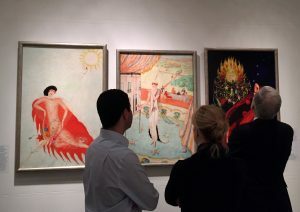 This exhibition is the result of a new curricular collaboration between Art Properties and the Department of Art History and Archaeology, in which candidates in the MA in Art History program conceive and implement an exhibition utilizing historic art work from the University’s permanent collection. During the 2016 spring semester, under the guidance of program director Frédérique Baumgartner and curator of Art Properties Roberto C. Ferrari, the students worked with a collection of 184 Nanteuil engravings that were a gift to Avery Library in 1947 by the widow of Frederick Paul Keppel (1875-1943), Dean of Columbia College from 1910 to 1918. The students also worked with the Conservation Lab in Butler Library to conserve one of the prints for this exhibition. Robert Nanteuil trained as an engraver in his hometown of Reims, settled in Paris in 1646-47, and established himself as a portraitist to the court of the Sun King, Louis XIV, eventually becoming Designer and Engraver to the King. 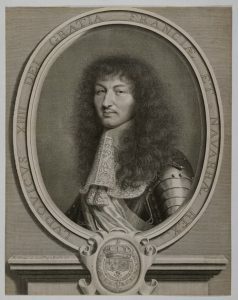 Over the course of his brilliant career, Nanteuil produced more than 230 engravings, the majority of which were portraits of contemporary French dignitaries, including the Queen of France, Anne of Austria, and her son Louis XIV. Most of the portraits that Nanteuil created were originally commissioned by wealthy students to decorate their theses. Today, no longer tied to the books and theses they once illustrated, Nanteuil’s engravings now primarily exist as art objects: the material traces of a master engraver and his practice. Sixteen of the prints in Columbia’s permanent collection have been brought together in this exhibition, both to illuminate Nanteuil’s career and shine a light on the nature of Keppel’s print collecting practice. 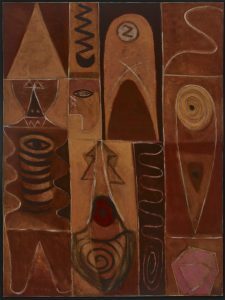 The exhibition is available for viewing Monday-Friday 9am-5pm until May 18, 2018, and is accompanied by an online exhibition at http://projects.mcah.columbia.edu/ma/2017/. This entry was posted in Art Properties, Exhibitions on February 20, 2018 by Ted. 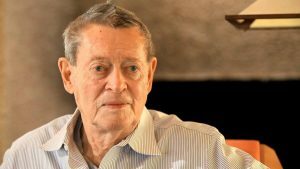 Bruce Brooks Pfeiffer, architectural historian and Frank Lloyd Wright archivist, passed away December 31, 2017 at the age of 87. A widely recognized expert on Wright, Pfeiffer authored more than 50 publications on Wright’s life and architecture. He was an apprentice to Wright at the Taliesin Fellowship from 1949 to 1956, and then studied architecture at the École Nationale Superiéure de Beaux Arts. From the time of Wright’s death in 1959 through 2012, he served as director of the Wright archives, curating and organizing the vast and incomparable visual and textual legacy of Wright’s life and works. We, together with the community of Wright scholars and admirers, are thankful for Bruce’s lifelong dedication and his contributions to architectural history and Wright scholarship. In 2012, the Frank Lloyd Wright Foundation Archive was jointly acquired by the Avery Architectural & Fine Arts Library at Columbia and The Museum of Modern Art. As joint stewards, Avery and MoMA honor Pfeiffer’s archival stewardship with the Bruce Brooks Pfeiffer lecture series. This entry was posted in Drawings & Archives, Frank Lloyd Wright Foundation Archives on January 3, 2018 by Ted. Panorama is derived from the Greek words meaning ‘all’ and ‘view.’ For centuries, popular entertainment has utilized panoramic composition to transport viewers to far-away places like Athens or Versailles or to the midst of important historical events such as the Battle of Gettysburg. Panoramas have taken many forms from large cylindrical paintings to dioramas to photographic and filmic representations. The items on display in the Avery Classics reading room range in time from approximately 1825 to 1966 demonstrating sustained artistic interest in the genre. Most document urban centers and take the form of long prints that follow streets through cities as various as Tokyo, Leipzig, Paris, London and New York. They capture the built environment at a specific moment in time and record other important elements of society such as modes of transportation and contemporary fashion. This entry was posted in Avery Classics Collection, Exhibitions on December 20, 2017 by Ted. 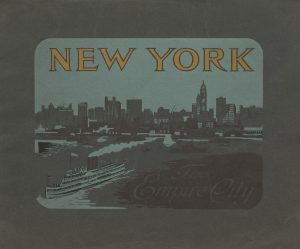 Avery Classics is pleased to announce its newest online exhibit, Viewbooks : Window into America. Drawing on last year’s reading room display, Viewbooks : Window into America features a selection of 50 viewbooks from Avery’s extensive holdings — more than 4,000 titles representing hundreds of American cities and towns. This online exhibit approaches the viewbook genre from two directions – geographic and topical. Subcategories include night views, disaster views and views of the developing West. Through this exhibit we hope to highlight our viewbook collection as an important source of documentation of the built environment in America in the late-19th and early-20th centuries and, as such, an important resource for our patrons. This entry was posted in Avery Classics Collection, Exhibitions on December 6, 2017 by Ted. In celebration of the 150th anniversary of Frank Lloyd Wright’s birth on June 8th, 1867, Avery Classics has staged an exhibition focusing on publications produced by and devoted to the work of Frank Lloyd Wright. The exhibition incorporates books from Wright’s own library alongside volumes already owned by Avery Classics. Thematically it explores Wright’s ideas concerning book design and the Japanese print, along with the reception of his work in Europe, mediated by publications such as Ausgeführte Bauten – in all its numerous iterations – and the Dutch periodical Wendingen. Finally, it allows the viewer a window into Wright’s creative process, following the evolution of a single manuscript from handwritten first draft through to publication. This entry was posted in Avery Classics Collection on June 27, 2017 by Ted. Hilary Ballon, former professor at Columbia University’s Department of Art & Archaeology, passed away on June 16, 2017 at age 61. She spent 22 years at Columbia University, where she won the University’s three awards for outstanding teaching and chaired the Department of Art History and Archaeology. 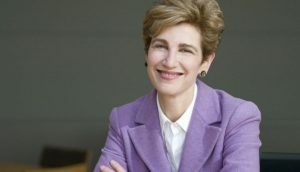 After leaving Columbia she was Senior Advisor to the Mellon Foundation, University Professor at NYU, and Deputy Vice Chancellor of NYU Abu Dhabi. Avery Library was privileged to work with Dr. Ballon throughout her career including two major exhibitions: Robert Moses and the Modern City (2007) and The Greatest Grid: The Master Plan of Manhattan, 1811-2011 (2011). All staff at Avery will miss working with her and with the entire community mourns her loss. This entry was posted in Avery Classics Collection, Drawings & Archives, School of the Arts on June 19, 2017 by Ted. Avery Architectural & Fine Arts Library and MoMA are pleased to announce the opening of a co-presented exhibition, Frank Lloyd Wright at 150: Unpacking the Archive, June 12 – October 1, 2017 at the Museum of Modern Art. Drawing on the expansive Frank Lloyd Wright Foundation Archive, jointly acquired by Avery and MoMA in 2012, the exhibition comprises approximately 450 works made from the 1890s through the 1950s, including architectural drawings, models, building fragments, films, television broadcasts, print media, furniture, tableware, textiles, paintings, photographs, and scrapbooks, along with a number of works that have rarely or never been publicly exhibited. Frank Lloyd Wright was one of the most prolific and renowned architects of the 20th century, a radical designer and intellectual who embraced new technologies and materials, pioneered do-it-yourself construction systems as well as avant-garde experimentation, and advanced original theories with regards to nature, urban planning, and social politics. Marking the 150th anniversary of the American architect’s birth on June 8, 1867, Frank Lloyd Wright at 150: Unpacking the Archive, critically engages his multifaceted practice. This entry was posted in Avery Classics Collection, Drawings & Archives, Exhibitions, Frank Lloyd Wright Foundation Archives on June 12, 2017 by Ted. 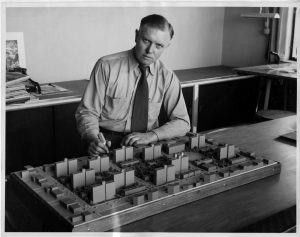 Recently opened for research is the archive of American architectural model maker Theodore Conrad (1910-1994). Conrad was a pioneer in the use of plastics and metals for models instead of the more traditional materials of wood, plaster and cardboard. Conrad began his career making cardboard models in the office of Harvey Wiley Corbett while a student at Pratt. Upon graduation, Conrad earned a full-time job at Corbett’s firm, but soon left to establish his own shop in New Jersey. By the 1940s, Conrad’s enterprise became the largest in the country, employing at its heights 26 men and women. His assignments included work for McKim Mead and White, Edward Durrell Stone, Louis Kahn, Mies van der Rohe and Skidmore Owings and Merrill. This entry was posted in Drawings & Archives on April 12, 2017 by Ted.